Free shipping, delivered next business day. Stock up today. Get the ColorPRO difference with this economical, FSC®-certified paper. ColorPRO Technology produces more striking colors, crisper text and graphics, and higher-contrast blacks for professional quality and striking results at production speed. Ideal for high-production environments in CAD, AEC, and GIS segments printing posters and presentations and POP and retail displays. 1 FSC® trademark license code FSC®-C115319, see http://fsc.org. Not all FSC®-certified product is available in all regions. 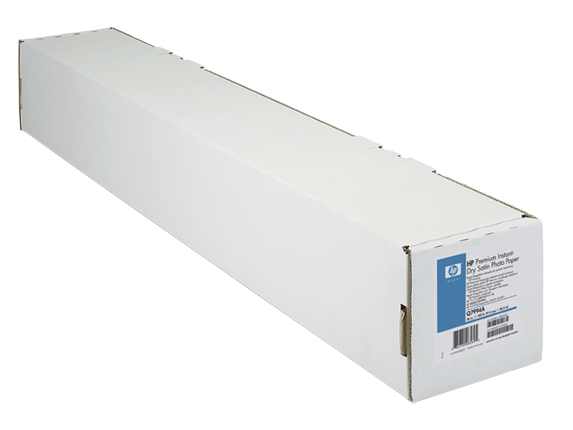 2 Requires 2-inch spindle for compatibility with the HP DesignJet L25500 and L26500 Printer series. Enjoy the ColorPRO difference at its best on this FSC®-certifiedbond paper. See more striking colors, crisper text and graphics, and higher-contrast blacks for professional quality and striking results at production speed. Ideal for high-production engineering environments in CAD, AEC, and GIS segments, and PSPs printing posters and presentations, and POP and retail displays. 1 Trademark license code FSC®-C115319. Not all FSC®-certified products are available in all regions. Enjoy the ColorPRO difference at its best on this FSC®-certified bond paper. See more striking colors, crisper text and graphics, and higher-contrast blacks for professional quality and striking results at production speed. High-production engineering environments in CAD, AEC, and GIS segments, and PSPs printing posters and presentations, and POP and retail displays. Roll or stack your time-sensitive documents right off the printer. Ideal for color-accurate everyday prints, working comps, and design proofs, this PEFC™-certified paper is easy to handle and provides high-quality, consistent results. 1 Trademark license code PEFC™/29-31-261, see http://pefc.org. Not all PEFC™-certified products are available in all regions. 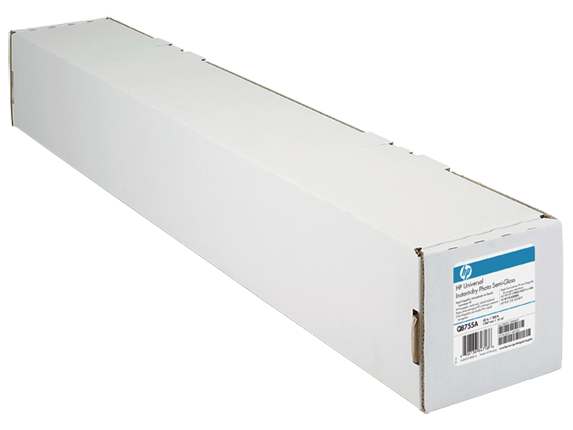 2 Requires 2-inch spindle for compatibility with the HP DesignJet L25500 Printer series. 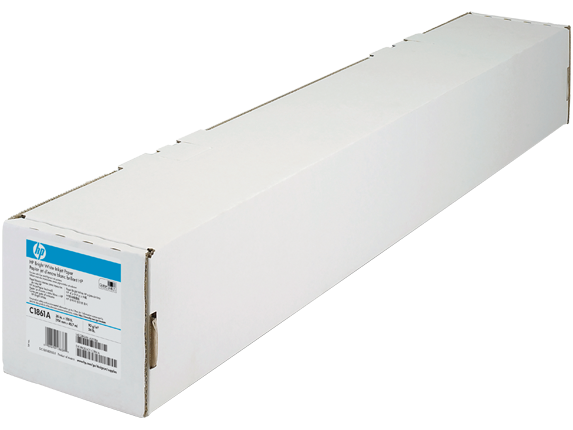 3 Requires 2-inch spindle for compatibility with the HP DesignJet L25500 Printer series. Roll or stack your time-sensitive documents right off the printer. Ideal for rich, color-accurate prints, working comps, and design proofs, this PEFC™-certified paper is easy to handle and provides high-quality, consistent results. Ideal for architects, engineers, Geographic Information Systems (GIS) professionals, graphic designers, and print service providers. Deliver rich, saturated prints that reflect the distinctive professionalism of your work. Ideal for a versatile array of applications and providing long-lasting displays, these instant-dry prints lie flat to streamline your post-print processing. Deliver images that get attention. See deeper blacks, more vivid colors, and an improved satin texture on this economical, FSC®-certified paper. Enable unattended printing with jumbo rolls. Enjoy instant-dry performance and long-lasting prints. Get attention with your images. With improved HP Universal Instant-dry Satin Photo Paper, enjoy even higher image quality. See deeper blacks and more vivid colors. And as always, enjoy instant-dry performance and durable, long-lasting prints. Ideal for graphic art/photography professionals and print service providers seeking excellent image quality and the productivity benefits of instant-dry prints. 1 With Original HP 91 or HP 70 Photo Inks, or HP 72 inks. Display permanence rating for interior displays/away from direct sunlight, under glass by HP Image Permanence Lab and/or by Wilhelm Imaging Research, Inc. on a range of HP media. For more information, see http://www.hp.com/go/supplies/printpermanence 2 With Original HP 91 Photo Inks, or HP 711 or HP 72 inks. Interior in-window display ratings by HP Image Permanence Lab on a range of HP media. HP predictions based on test data under Xenon-Arc illuminant—calculation assumes 6,000 Lux/12 hr day. For more information, see http://www.hp.com/go/supplies/printpermanence. 3Trademark license code FSC®-C115319, see http://fsc.org. Not all FSC®-certified products are available in all regions. 4 Recyclable through commonly available recycling programs according to region-specific practices. In North America and Asia (including Japan), recyclable in consumer collection systems that can accept mixed paper (may not be recyclable in your area); in Europe recyclable in consumer collection systems that accept liquid packaging. Save time and money with instant-dry prints. Deliver images that get attention. See deeper blacks, more vivid colors, and greater gloss uniformity on this economical, FSC®-certified paper. Enjoy instant-dry performance and long-lasting prints. Get attention with your images. With improved HP Universal Instant-dry Gloss Photo Paper, enjoy even higher image quality. See deeper blacks and more vivid colors. And as always, enjoy instant-dry performance and durable, long-lasting prints. 1 With Original HP 91 or HP 70 Photo Inks or Original HP 83 UV inks or Original HP 711 or HP 72 inks. Display permanence rating for interior displays/away from direct sunlight, under glass by HP Image Permanence Lab and/or by Wilhelm Imaging Research, Inc. on a range of HP media. For more information, see http://www.globalbmg.com/hp/en/printpermanence 2 With Original HP 91 Photo Inks or Original HP 711 or HP 72 inks. Interior in-window display ratings by HP Image Permanence Lab on a range of HP media. HP predictions based on test data under Xenon-Arc illuminant—calculation assumes 6,000 Lux/12 hr day. For more information, see http://www.globalbmg.com/hp/en/printpermanence. 3 Trademark license code FSC®-C115319, see http://fsc.org. Not all FSC®-certified products are available in all regions. 4 Recyclable through commonly available recycling programs according to region-specific practices. In North America and Asia (including Japan), recyclable in consumer collection systems that can accept mixed paper (may not be recyclable in your area); in Europe recyclable in consumer collection systems that accept liquid packaging. 5 Recyclable through commonly available recycling programs according to region-specific practices. In North America and Asia (including Japan), recyclable in consumer collection systems that can accept mixed paper (may not be recyclable in your area); in Europe recyclable in consumer collection systems that accept liquid packaging. Produce high-impact signs with this versatile, durable, and recyclable matte polypropylene film. This tear-resistant substrate is easy to use and handle, and is ideal for both indoor and outdoor applications. Ideal for print service providers, retail store in-house printing, event designers, advertising agencies, GIS, government (printing maps). 1 HP Large Format Media take-back program availability varies. Recycling programs may not exist in your area. See http://www.hp.com/recycle for details. 2 Using Original HP 70 Photo Inks or HP 83 UV inks. Interior in-window display ratings by HP Image Permanence Lab on a range of HP media. HP predictions based on test data under Xenon-Arc illuminant—calculation assumes 6,000 Lux/12 hr day. 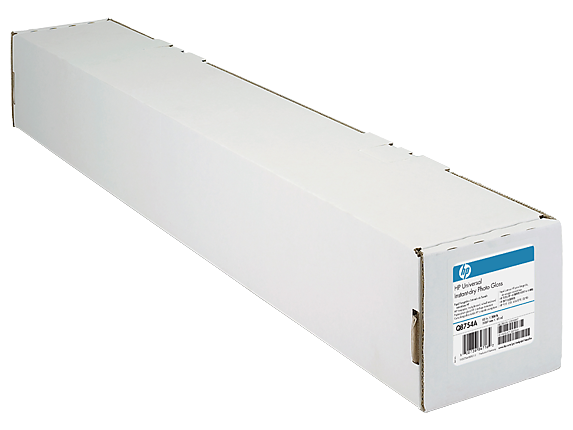 Prints require cold lamination to achieve prolonged display permanence on compatible HP DesignJet printers using HP dye-based inks. For more information, see http://www.globalbmg.com/hp/en/printpermanence. 3 Using Original HP 70 or 91 Photo Inks or HP 83 UV inks. Display permanence rating by HP Image Permanence Lab. Outdoor display permanence tested according to SAE J2527; in a vertical display orientation in simulated nominal outdoor display conditions for select high and low climates, including exposure to direct sunlight and water; performance may vary as environmental conditions change. Prints require cold lamination to achieve prolonged display permanence on compatible HP DesignJet printers using HP dye-based inks. For more information, see http://www.globalbmg.com/hp/en/printpermanence. 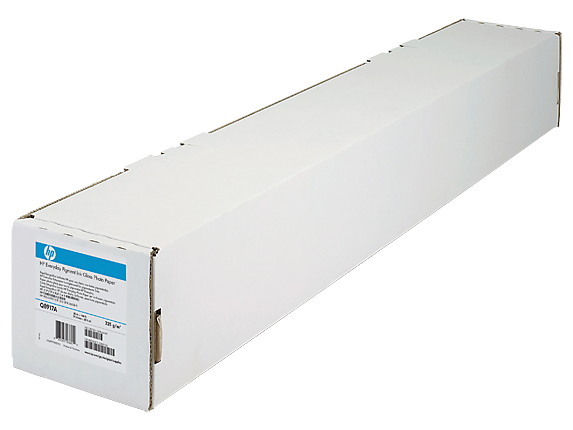 4 Requires 2-inch spindle for compatibility with the HP DesignJet L25500 and L26500 Printer series. Produce high-quality signs, banners, displays—even realistic photo enlargements. This moderately water-resistant and tear-resistant media is ideal for indoor applications full of brilliant color and edge definition. And it’s recyclable. 1 Moderately water resistant with Original HP 771 Vivid Photo Inks or Original HP 91 Photo Inks. Water resistance testing by HP Image Permanence Lab on a range of HP media and follows ISO 18935 method. For more information, see http://www.globalbmg.com/hp/en/printpermanence. 2 HP Large Format Media take-back program availability varies. Recycling programs may not exist in your area. See http://www.hp.com/recycle for details. 3 Greater than 96% per TAPPI T-425 Test Method, 98% per ISO 2471 Test Method. 4 With Original HP 771 Vivid Photo Inks or Original HP 91 Photo Inks. Display permanence rating for interior displays/away from direct sunlight, under glass by HP Image Permanence Lab and/or by Wilhelm Imaging Research, Inc. on a range of HP media. For more information, see http://www.globalbmg.com/hp/en/printpermanence. Impress with unrivaled image quality. See images pop right off the page. Compared to the previous version get deeper blacks, more vivid colors, better gloss uniformity. And as always, enjoy instant-dry performance and durable, long-lasting prints. Graphic art/photography professionals and Print Service Providers seeking unrivaled image quality and the productivity benefits of instant-dry prints. 1 Trademark license code FSC®-C115319, see http://fsc.org. Not all FSC®-certified products are available in all regions. 2 Recyclable through commonly available recycling programs according to region-specific practices. In North America and Asia (including Japan), recyclable in consumer collection systems that can accept mixed paper (may not be recyclable in your area); in Europe recyclable in consumer collection systems that accept liquid packaging. 3 With Original HP 771 Vivid Photo Inks. Interior in-window display ratings by HP Image Permanence Lab on a range of HP media. HP predictions based on test data under Xenon-Arc illuminant—calculation assumes 6,000 Lux/12 hr day. For more information, see http://www.hp.com/go/supplies/printpermanence. 4 With Original HP 772, HP 91, or HP 70 Photo Inks, or HP 771 Vivid Photo Inks or HP 83 UV inks. Display permanence rating for interior displays/away from direct sunlight, under glass by HP Image Permanence Lab and/or by Wilhelm Imaging Research, Inc. on a range of HP media. For more information, see http://www.hp.com/go/supplies/printpermanence. 5 With Original HP 772, HP 91, or HP 70 Photo Inks, or HP 771 Vivid Photo Inks. Performance varies based on printer and print profile. Water resistance testing by HP Image Permanence Lab on a range of HP media and follows ISO 18935 method. For more information, see http://www.hp.com/go/supplies/printpermanence. Deliver brilliant image quality in durable, opaque banners. Water- and tear-resistant displays remain vibrant and provide flame resistance with NFPA and CA1237 approved fire certifications. Ideal for sign shops, print service providers, and quick printers. 1 With Original HP 91 Photo Inks. Lamination required with Original HP dye-based inks. Performance varies based on printer and print profile. Water resistance testing by HP Image Permanence Lab on a range of HP media and follows ISO 18935 method. For more information, see http://www.hp.com/go/supplies/printpermanence. 2 With Original HP 83 UV inks. Display permanence rating for interior displays/away from direct sunlight, under glass by HP Image Permanence Lab and/or by Wilhelm Imaging Research, Inc. on a range of HP media. For more information, see http://www.hp.com/go/supplies/printpermanence. 3 With Original HP 91 Photo Inks or HP 771 Vivid Photo Inks. Interior in-window display ratings by HP Image Permanence Lab on a range of HP media. HP predictions based on test data under Xenon-Arc illuminant — calculation assumes 6,000 Lux/12 hr day. For more information, see http://www.hp.com/go/supplies/printpermanence. 4 With Original HP 91 Photo Inks. Outdoor display permanence rating according to SAE J2527; in a vertical display orientation in simulated nominal outdoor display conditions for select high and low climates, including exposure to direct sunlight and water; performance may vary as environmental conditions change. For more information, see http://www.hp.com/go/supplies/printpermanence. 5 100% per TAPPI T-425 Test Method.